Many people (and not just Steve) have been looking forward to this Terry Gilliam film coming out for a long time. A long, long time. A long, long, long... anyway you get the idea. However, as any Gilliam fan knows, The Man Who Killed Don Quixote has been beset with problems from the start, what with cast changes, studio wrangles and even NATO bombing exercises (yes really, read Steve's review of the documentary Lost in La Mancha to find out more) and there's always been something that has meant the film never quite crossed the finish line. So the excitement was real when the first trailer came out last month - there was actually a FINISHED film that we would be able to see! Then, even better, the prestigious Cannes Film Festival announced that the film will be closing this year's Festival on 19th May AND getting released across France on the same day so surely, SURELY, this was it. No more waiting, no more problems, no more... ah. The world, it seems, has a vendetta against this film. A disgruntled Producer, Paulo Branco and his company Alfama Films Production, are looking to block the film’s world premiere this month, due to an ongoing dispute over the rights to the project. In response, Cannes festival President, Pierre Lescure and Thierry Frémaux, the Executive Director, have issued a strongly worded statement acknowledging that the Court's decision will be abided by but that "Mr Branco has allowed his lawyer to use intimidation and defamatory statements, as derisory as they are ridiculous, one of which targets the former President of an event which he has made use of throughout his career to establish his own reputation," adding that "The Festival de Cannes’ mission is to choose works purely on artistic grounds and the selection must, above all, be with the agreement of the film’s director. This is the case here. 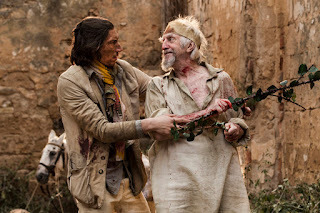 Past experience had made us aware of possible legal action and of the risks we were running, but as it happens, when we took our decision, there was no opposition to the screening of the film at the Festival" and assuring both the film-makers and the public that they "stand squarely on the side of filmmakers and in particular on the side of Terry Gilliam. We know how important this project, which has gone through so many trials and tribulations, is to him." You can read the full Cannes festival statement here. The case will be considered at an urgent hearing next Monday, May 7th: the day before the Festival opens. 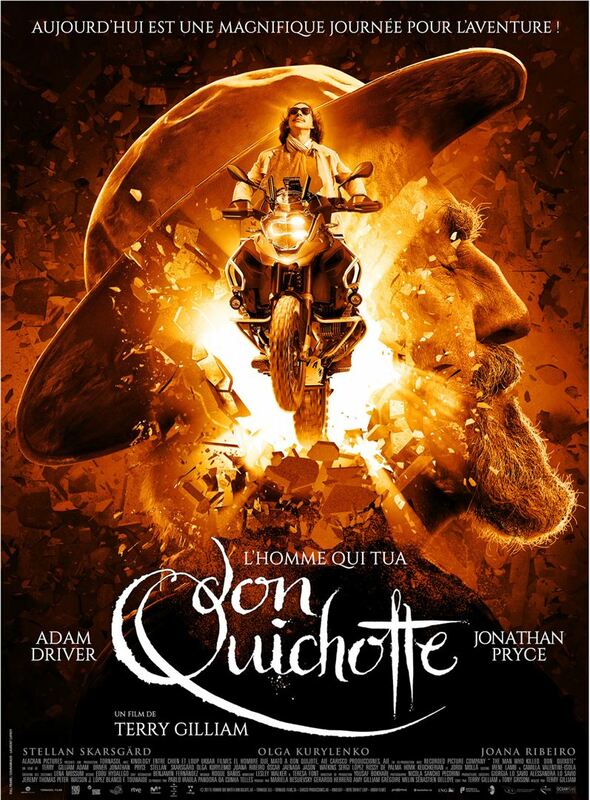 So we urge you to follow @QuixoteMovie on Twitter and shout #QuixoteVive, as we cannot let The Man finally kill The Man Who Killed Don Quixote. Watch the new trailer below.